Adventure Bound offers assemblies for elementary and middle schools in New York City and Connecticut as well as several school districts from Boston to North Carolina. Our programs are customized to suit each school and their learning objectives. We offer assemblies that address state testing for ELA and Math, PBIS, Pop Culture, History, Science, Careers, etc. The PayDay game show was originally designed to focus on questions based on Education, Career Paths, Budgeting, and Everyday Math. 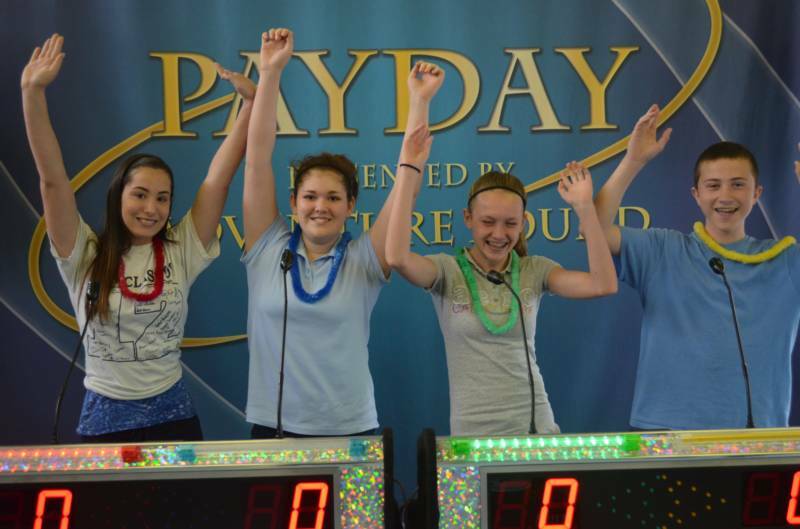 Students participate in rounds of questions based on these subjects and the contestant that answers the most questions correctly races the clock to grab as much cash as possible in our money booth.